A rounded shrub with large white flowers throughout the summer. The eye of the flower will be blue in acidic soils. 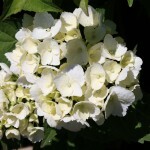 Many consider this the best white mophead hydrangea. 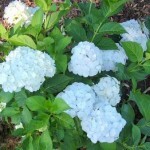 It prefers light shade and moist soil.